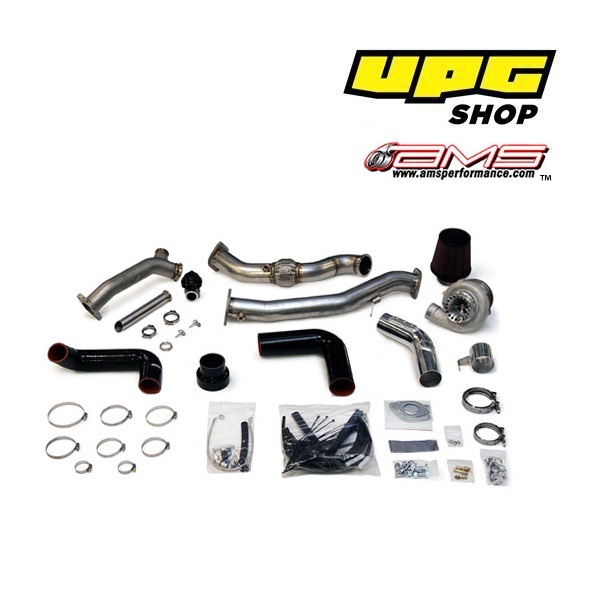 The AMS 2008 Subaru Rotated Mount V-band Turbo Kit is the new benchmark in Subaru performance. Designed to meet the demanding needs of road race, drag race and street cars alike, we have successfully achieved unparalleled drivability, response, and horsepower. Our unique design has been tested and refined for over 1 year to provide reliability, OEM like fitment and options never available in a Subaru turbo kit before. 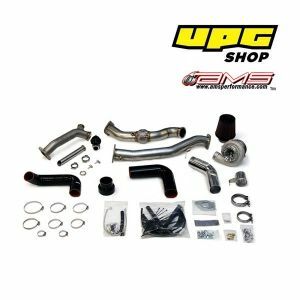 Each AMS Subaru Turbo Kit incorporates the latest V-band exhaust housings with options for .63 or.82 A/R. The Precision Turbo V-band housings not only provide the most horsepower and save weight but they eliminate the need for gaskets and are easier to install. No more annoying exhaust leaks and no gaskets to replace! - Kit Utilizes 4 ply silicone tested up to 50 psi of boost!